Good day, my friend! How are you doing today? Oh boy. Where do I start with this one ay? Now, when you look at the scientific side of fat loss, it is is extremely easy and extremely simple. If you look at fat loss from a sales point of view however in this deluded fitness industry, the concept becomes far more complicated than it really needs to be! 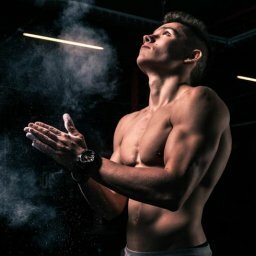 From performing 1 hour ineffective ab workouts to jugging down 2 scoops of protein powder (followed by sitting on the toilet for 30 minutes the next day), I eventually had enough of following the advise from these so called ‘experts’, and therefore made it my mission to get to the underlying truth of how fat loss really worked. If your fat loss plan isn’t currently working, it’s simply because you aren’t following the core principles of how to actually lose body fat. In short – a calorie deficit is a state in which you consume less calories than your body burns. And with that said, consuming less calories than you burn is the ONLY way in which you can lose body fat. For example – if I burn 2500 calories a day, I will only lose body fat if I consume less than 2500 calories a day. You can try all the fancy diets, ab circuits, or spot reduction methods you’d like, but if your body is not in a consistent calorie deficit, you will NEVER lose body fat! Although cardio is a great way to improve your cardiovascular health whilst burning some additional calories in the process, cardio is NOT the solution to fat loss. As said earlier, fat loss comes from being in a calorie deficit where you’re consuming less calories than you’re burning. With that said – if you’re endlessly eating poor quality nutrients and then heading to the gym to go on the treadmill for an hour in order to ‘burn those extra calories off’, you’re literally spinning your wheels…but heading nowhere! Yes, you can use cardio to aid your fat loss journey, but only use it to supplement your plan, as doing too much too soon only leads to burn out (as I’ve had to learn the hard way in the past!). CARBS AND FATS DON’T MAKE YOU FAT – …overeating does! If your current nutrition plan only leaves you tired, lazy and even more hungry, I can already tell ya without even looking that you aren’t consuming enough carbs and/or fats. Purely relying on chicken salads is only going to lead you to demolishing a packet of crisps and biscuits sooner or later, meaning that if you want shred off excess fat around your body, have your proteins, have your carbs, have your fats, and have your fruits and veggies. Combine that with a calorie deficit, and you’re set up for success! BONUS – PERFORM YOUR FULL BODY BODYWEIGHT EXERCISES TOO! If you want to maximise fat loss, you also want to be getting stronger in your workouts as well. This is where Calisthenics and Bodyweight Exercise compliments fat loss excellently, as multi-joint exercises such as push ups, pull ups, and squats will boost testosterone and human growth hormone levels substantially whilst also expending the highest amount of calorie expenditure. As a result – progressive overload can be applied far more effectively, leading to greater strength and size gains. At the same time, a higher calorie expenditure will also mean an increase in total daily energy expenditure (TDEE), helping you create a ‘caloric deficit’ that’s required for fat-loss to take place! I hope this helped, and I hope that the action you take following this pep talk has cleared everything up for ya so you can start becoming a fat burning machine with ease! Hey, My name is Sunny and just a year back I loss 44lb weight using calorie deficit diet and exercise at home and now I plane to gain and build muscles but there is still fat left that refrains my arms that doesn’t allow my abs and biceps/triceps to show out what should I do.